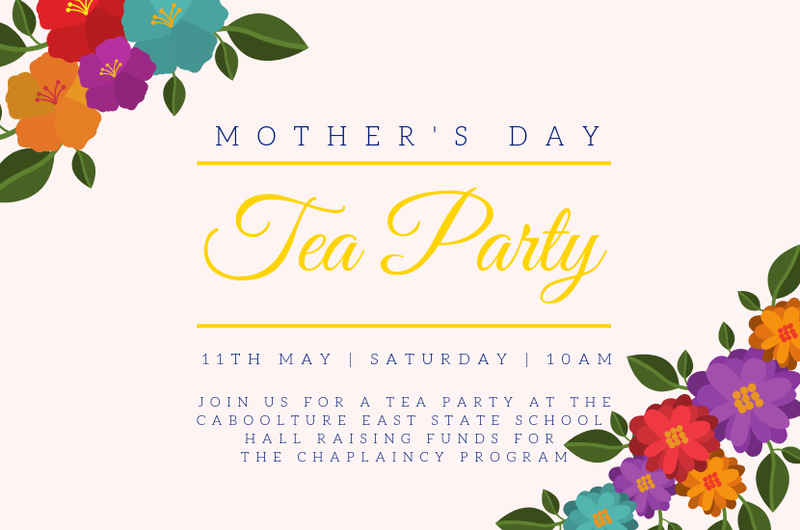 Please join us for a Tea Party to fundraise for the school Chaplaincy Program at Caboolture East State School on Saturday 11th May – the day before Mother’s Day. The Caboolture East State School Hall will be transformed for a perfect Tea Party. Guests will be treated to a morning of baked and sweet treats with finger sandwiches of course, tea and coffee, fun and frivolity, with your $20 donation going directly to the Breakfast Club and Girls Programs run in 2019. We love tea and to party! Come prepared to join in the fun and frivolity with Chappy Mandy and her Chaplaincy Supporters at Caboolture East State School.